These are back by popular demand! 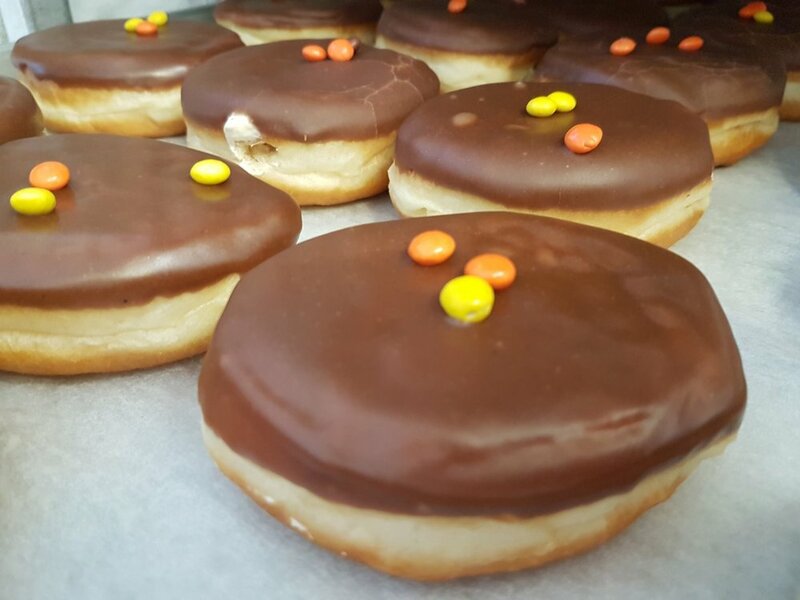 Our feature donuts are filled with a peanut butter whipped cream, topped in chocolate and garnished with mini Reese's Pieces. 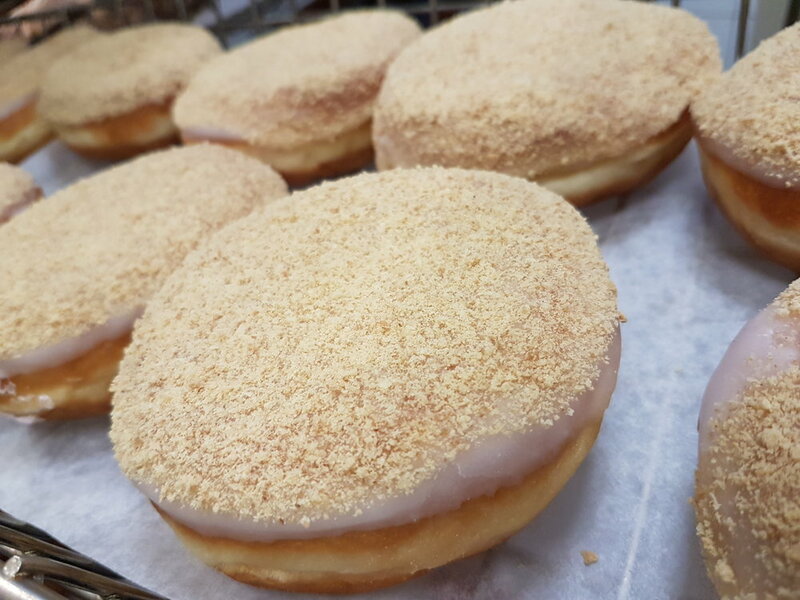 We stuff these yummy donuts with a cheery cheesecake flavoured whipped cream, and then finish them with white fondant and graham crumbs. Amazingly delicious! This Seasonal favourite has an Egg Nog flavoured whipped cream inside! Limited time only! These fun donuts are filled with a banana flavoured whipped cream, topped in Chocolate fondant and garnished with yellow sprinkles. Try one today! Our seasonal feature donut has finally hit the shelf! 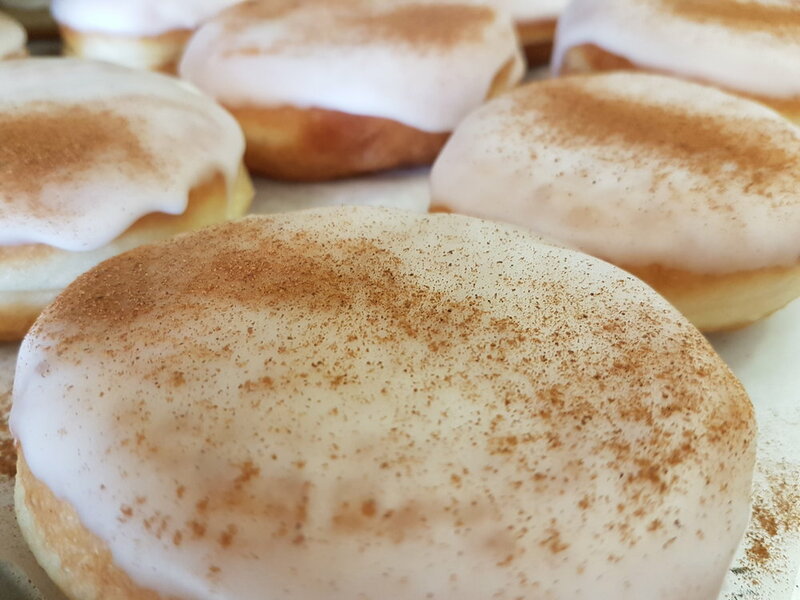 We fill our PUMPKIN PIE donuts with whipped cream that has actual pumpkin pie filling and spices mixed into it! 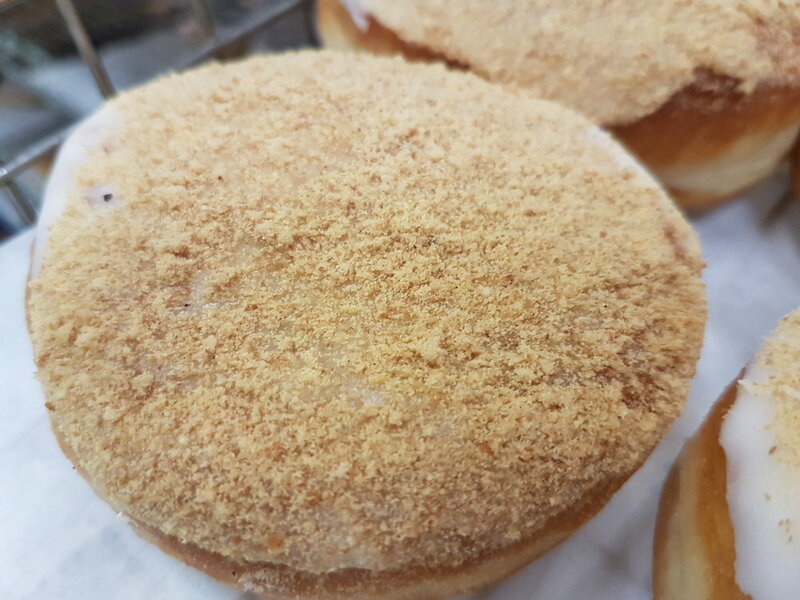 Topped with graham crumbs, this donut is incredibly delicious and addicting! If you haven't tried one yet, you MUST! We've got a Peachy feature donut this month! They're loaded with a Peach whipped cream and topped in white fondant. This camping favourite is filled with a toasted marshmallow flavoured whipped cream, and covered with chocolate and graham crumbs. So delicious, you'll have to try it soon! We stuff these with a delicious blueberry jelly, after we've rolled them in sugar! A classic flavor for you to enjoy this month! See you soon! This month's feature donut has a decadent Chocolate Bavarian filling and is topped with chocolate fondant and chocolate chips! Satisfy that chocolate craving today! A new donut has been born this month! We've created a Jolly Rancher inspired donut! We fill them with a green apple whipped cream, top them in white fondant and sprinkle actual crushed Jolly Ranchers on top! Satisfy that sweet tooth with one today!